We have seen tons of different USB drives here at geeky gadgets, and now it looks like some of the mainstream manufacturers are starting to incorporate USB drives into their products, the first being Calvin Klein with a pair of sunglasses featuring a built in USB drive. 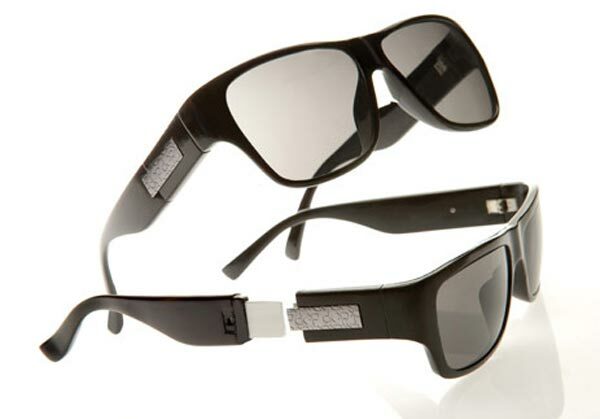 The Calvin Klein USB Sunglasses will feature a hidden USB drive in one of the arms of the sunglasses, the arm can be detached and then plugged into your PC or Mac to retrieve your data. The Calvin Klein USB Sunglasses will come with 4GB of storage and will go on sale in October for $199, I am surprised that they haven’t released these earlier ready for summer.